Danniella Westbrook has started her stint in a recovery house to tackle her cocaine addiction. The 45-year-old actress’ close pal Jeremy Kyle has paid for her to spend three months in rehab and, on Sunday (10.02.19), Danniella’s agent posted a video of the former ‘EastEnders’ star on Twitter from the facility. 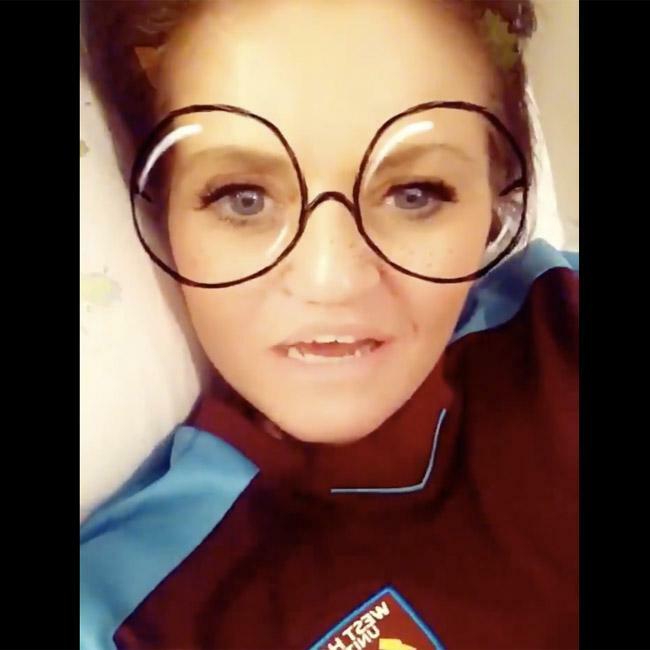 In the update, Danniella – who was wearing a West Ham United sports top – said she is "doing well" and had been to the supermarket and cooked Sunday lunch for the other patients in her recovery house, and was getting ready to attend a Cocaine Anonymous meeting. In the short clip, which was captioned, "Update sent to agent to pass on x (sic)", she said: "Hi, everything is good with me. "Umm, I’ve just cooked a massive roast dinner for everyone in my recovery house because we are all in houses on the grounds and stuff, so that’s good, and for my support workers and stuff. "I went to Aldi’s today with my councillor and support worker and went and bought the food and that. "Umm, I’m just keeping you updated. "Thank you all for your love and support. "I’m just going to jump in the shower cause’ I’m stinking of roast chicken and go off to a CA (Cocaine Anonymous) meeting. "Sending you loads of love and hope you are all well. "Good night, enjoy your Sunday, goodbye everyone." Danniella’s update comes after it was reported that she had been kicked out of her home for refusing to pay her rent for eight months. The television personality moved into the home in Essex in June 2018, but has not been paying her rent and now owes £5,000. She was due to be evicted from the house next week, but voluntarily left the property last week after TV star Jeremy paid for her to enter rehab.